Castle Dreams – 365, 252, originally uploaded by Fluttering By. 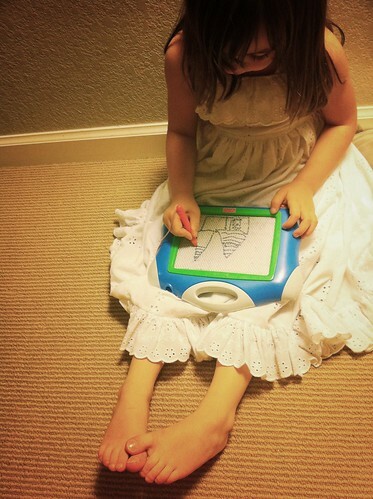 Molly sat down this evening and said, "What I want to draw?" I answered, "Whatever you’d like." She instantly became excited and started talking about a castle in her dreams and drew away.